Carefully designed with patient comfort and compliance in mind, the Miami Lumbar Posteo provides functional and comfortable relief of vertebral fracture pain, facilitating a return to mobility. 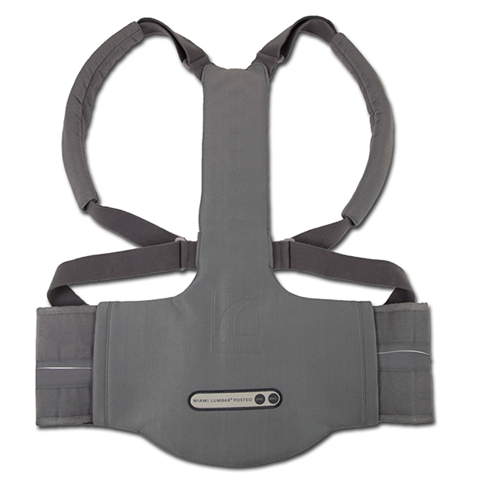 The lumbar compression system delivers active vertebral offloading and a better grip of patient’s hips. The cold-moldable aluminum PTE provides optimal stabilization with ideal anatomical fit. The Miami Lumbar Posteo also features an innovative approach to ease of use and consistent donning through its hookable axillary straps.